LIVE VIDEO: Beto O'Rourke Debates Ted Cruz - Joe.My.God. 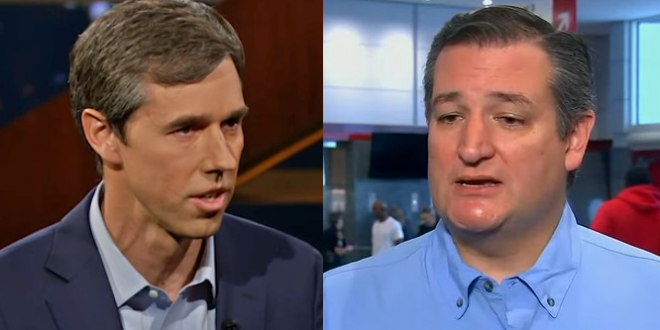 Republican Sen. Ted Cruz will face Democratic challenger Rep. Beto O’Rourke on Friday in Dallas, the first debate of the Texas Senate race. The hourlong debate is being hosted by the Dallas Morning News, Southern Methodist University and KXAS-TV. The debate — the first of three scheduled debates in the race — will take place at Southern Methodist in front of a live audience. Start time is 7PM Eastern. Backup stream.